From the beginning, space activities in the country, concentrated on achieving self reliance and developing capability to build and launch communication satellites for television broadcast, telecommunications and meteorological applications andremote sensing satellites for management of natural resources. 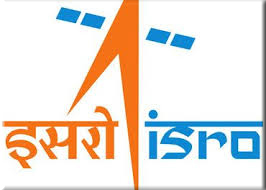 Accordingly the Indian Space Research Organisation (ISRO) has successfully operationalised two major satellite systems namely Indian National Satellites (INSAT) for communication services and Indian Remote Sensing (IRS) satellites for management of natural resources; also, Polar Satellite Launch Vehicle (PSLV) for launching IRS type of satellites and Geostationary Satellite Launch Vehicle (GSLV) for launching INSAT type of satellites. Space activities in the country had started during the early years of 1960 with the scientific investigation of upper most atmosphere and inosphere over the magnetic equator that usually passes over the village Thumba near Thiruvananthapuram using small sounding rockets. Realising the immense potential of space technology for national development, Dr. Vikram Sarabhai, the visionary leader envisioned that this powerful technology would usually have meaningful role and immense potential in national development and solving the problems of the common man.Thumba Equatorial Rocket Launching Station (TERLS), is located nearby the coastline. Launch Vehicles are been used to transport and put satellites or the spacecrafts onto the space. In India, the launch vehicles development programme has gained greater momentum in recent times. IDr. K. Radhakrishnan the current Chairman of Space Commission, Secretary, Department of Space, Government of India and Chairman of ISRO is a technocrat par excellence, he is dynamic and result-oriented Manager with very fine personal and inter-personal qualities. He is an astute Institution-builder with a strategic vision and an able Administrator with a positive attitude and an inspiring Leader credited with nurturing leadership skills in the younger generation. The Chairman had distinguished career adorned with accomplishments that spans beyond 40 years in space technology, applications and space programme management. INSAT - 3D - INSAT-3D, an exclusive meteorological satellite, is configured with advanced meteorological payloads - a 6 Channel Imager, 19 Channel Sounder along with Data Relay Transponder and Satellite Aided Search and Rescue payloads. The spacecraft platform is adopted from the standard I-2K bus with a power handling capability of around 1100 W with a lift off mass of 2090 kg. ASTROSAT - The ASTROSAT project is aimed at design, development, fabrication and launch of an astronomical observatory for studies of cosmic sources. ASTROSAT is envisaged to be a National Observatory which will be available for astronomical observations to any researcher in India. Although most of the observation time will be for the use of Indian researchers, a part of the ASTROSAT observation time will also be made available to International astronomical community on a competitive basis. The June 2014 launch of five foreign satellites by the PSLV (Polar Satellite Launch Vehicle) became an impetus for ISRO to proclaim our ability of showcasing India as a champion of its neighboring countries, and thus envisioning a developement of a satellite which will be used by its neighbouring countries, as a gift from India.